Still time to catch FLOW Photofest at various venues throughout the Highlands, and also in An Lanntair, Stornoway until the end of September. We have the Open Competition exhibition shortlist on display in the Studio, including the winning entry ‘Ajji’ by Samyukta Lakshmi. 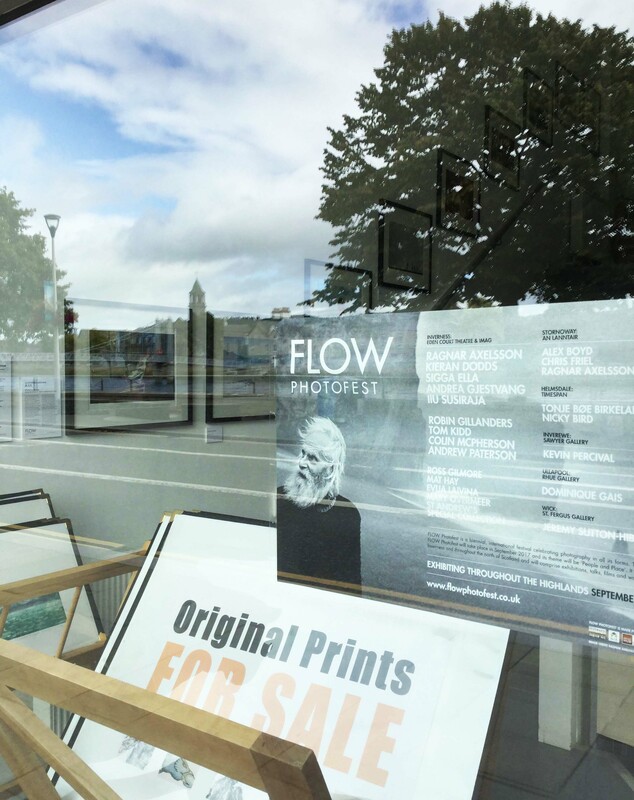 Most of the FLOW exhibition photographs you see on display around Inverness were printed by our Studio Manager John McNaught in our refurbished digital suite. Some other terrific exhibitions on around Inverness, including in Inverness Museum and Art Gallery (where, incidentally, you’ll also catch Studio member Pamela Tait‘s exhibition of recent etchings), Eden Court Theatre and Inverness College UHI as well as the ‘Small Walls’ locations and other venues further north. Loads to enjoy!